Oh yeah, that was the case when I first laid eyes on my now-husband, 15 years ago, but right now I’m talking about the one and only Channing Tatum. (It’s cool, my hubby knows about my soft spot for Channing but he’s not worried as he knows he’s my no.1). OK, so cast your mind back to 2006. For me, it was an awesome year topped off by my now-hubby finally getting down on one knee and proposing. It was also the year Step Up hit cinemas and Channing Tatum’s rise to fame really began. I’ll admit I watched that movie countless times and may have talked hubby into recreating some of the dance scenes even though HE is the former child ballroom dancing champion and I have two left feet. But bless his cotton socks for putting up with me and playing along. I had the Step Up screen saver and wallpaper on my Nokia mobile phone for a few years. And Channing continued to be a screen saver and wallpaper on my computer at work (until we had to go with the company-wide standard ones). From 2008-2010 I was working at a national weekly celebrity magazine as News Editor and had the pleasure of regularly viewing pics of Channing as he was jogging, at the beach, and at events. All in the name of work. Praaiiise the Lord. 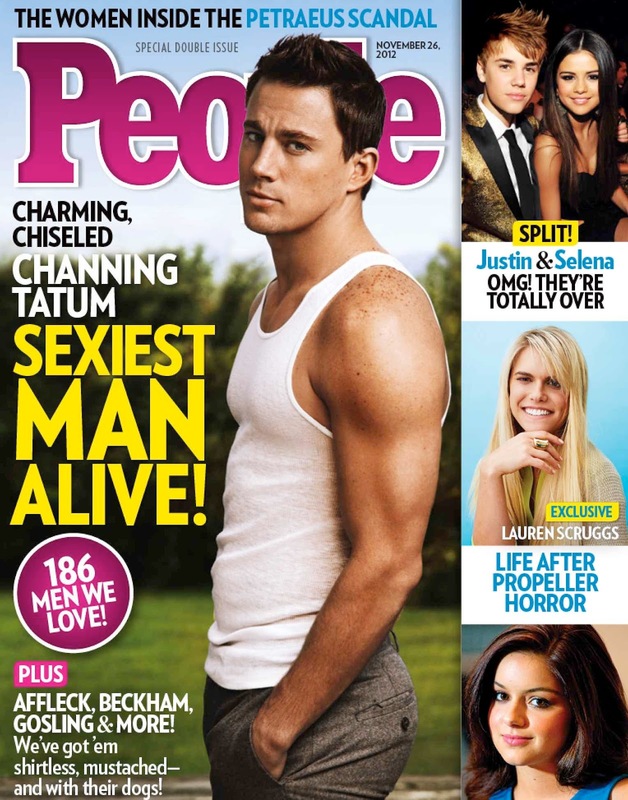 I recall talking fondly of Channing to my colleagues who were all poking fun at my ‘teeny bopper taste’. (As a teen I loved Jonathan Taylor-Thomas, Zac Drayson from Home and Away, Scott and Abs from 5IVE, and soccer player Michael Owen. I was also fond of Scott from Australian Idol a few years ago as well as Johnny Ruffo, Reece Mastin, Liam from 1D and Zac Efron. I never really got into the Johnny Depp/ Luke Perry/ Brad Pitt/ Anthony Kiedis from Red Hot Chilli Peppers or Kurt Cobain thing. “Mark my words colleagues. This man is one to watch. He’s going to blow everyone’s socks off”. Yeah, something like that. One of my male colleagues, who also appreciated Channing, showed his full support when I created a split screensaver of Channing shirtless along with a photo of my husband walking along the beach. Same same. 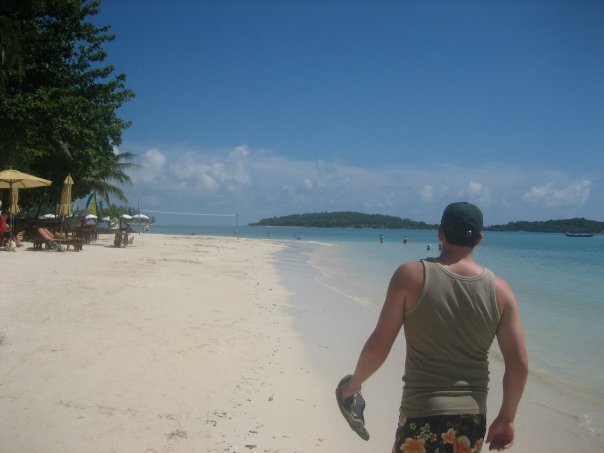 on our honeymoon in Thailand. I had a chance to come in close contact with Channing (by that I mean, be within a couple of hundred metres at a press conference), but deadlines at work kept me chained to the desk and I couldn’t go. Fast-forward a few years, and my appreciation for Channing has only grown. Oh yeah, and so has everyone else’s. He’s been on the cover of GQ, been named Sexiest Man Alive by People magazine. He’s appeared in The Vow, Dear John, White House Down, 21 Jump Street and more. Oh yeah and there’s that movie Magic Mike. And I am beside myself, trying to work out if I can drag my brood (ages 1, 1, 3 and 5) on a 12 hour road trip to Sydney so I can stake out look out for Channing to possibly see him in the flesh. My twincesses are still bubs so I don’t want to leave them for longer than 24 hours. But having myself and hubby take time off work so the whole family can drive from Queensland to Sydney for a few days (plus the accommodation costs for the return journey and while we’re in town) does seem a bit extreme. My track record for meeting celebs is pretty good (even before I worked in media). So it’s a big decision to make. But could totally be worth it. Are you a Channing fan? Who’s your biggest crush? WWYD? What lengths have you gone to meet/see a celebrity?